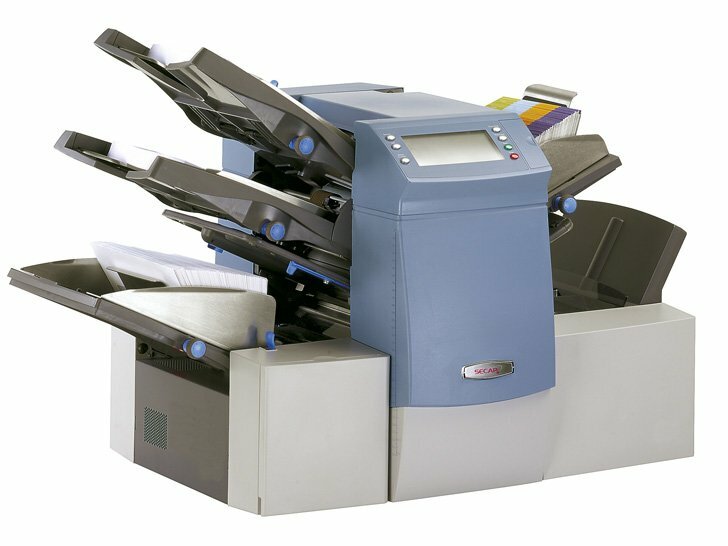 If you’ve ever spent hour’s hand folding invoices, statements or mailshots then pushing them into envelopes and closing them up, then the benefits of owning a machine may be of interest to you and your business. Speed: A folding inserting machine can get through many more mail items per hour than even than someone doing it manually. Even the fastest most experienced mail packers only get up to a couple of hundred per hour whereas inexpensive, entry-level machines start off at speeds of 1,300 per hour. Cost: A folding inserting machine has the potential to greatly reduce the man-hours required to pack your mail. Think about it, mailings that traditionally may have required a team of hand packers to manually fold and insert the items could be automatically completed in a fraction of the time. Consistency: If you’ve ever spent time folding and inserting mail into envelopes, you’ll know it’s hard to be consistent. The chances of folding and inserting every item in exactly the same way are pretty slim. Missing items, crooked folds, addresses not aligned correctly in the window, envelopes not properly sealed; these are just a few of the issues you’ll see with manually-packed mailings. A folding and inserting machine eliminates these issues. Accuracy: Another common issue with manually-packed mailings is accuracy. When people are packing a lot of mail items they get tired. Fatigue sets in. Mistakes happen. Suddenly letters are getting mixed up. Some customers might get two letters while others get none. Most modern folding inserting machines are fitted with advanced security features, such as double-document detection and barcode matching, which help you greatly reduce the chances of these issues occurring. The Ashcroft SI3300 & SI1000 folder inserters are capable of folding and inserting at an incredible speed of up to 1,800 to 3,000 letters every hour. This speed is much faster than manual completion and this speed is perfect for low to mid volumes of mail. View our range of Folder & inserters.